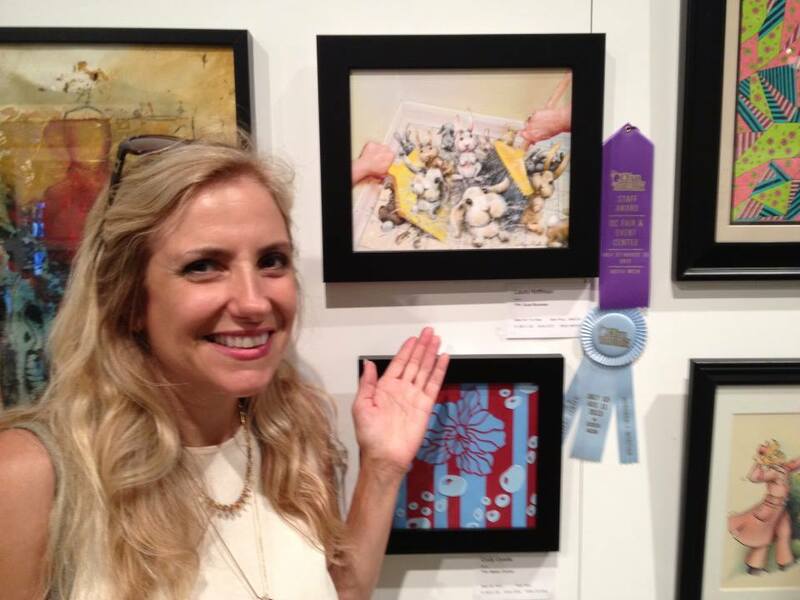 Dust Bunnies, a painting for the Idioms Project just swept up a second award at the OC Fair. This was a nice surprise. The fair is happening now through August 11. Run - don't walk - to the OC Fair and treat yourself to the usual indulgent food (chocolate covered bacon! Deep friend avocados and more!) and feast your eyes on award winning photography and fine arts. Congratulations to all my students who placed and won awards!! The photo exhibit this year is worth the trip to the Fair. And please stop by and say hello to the Dust Bunnies. Does a Painting Say 'Ding' When it's Done?